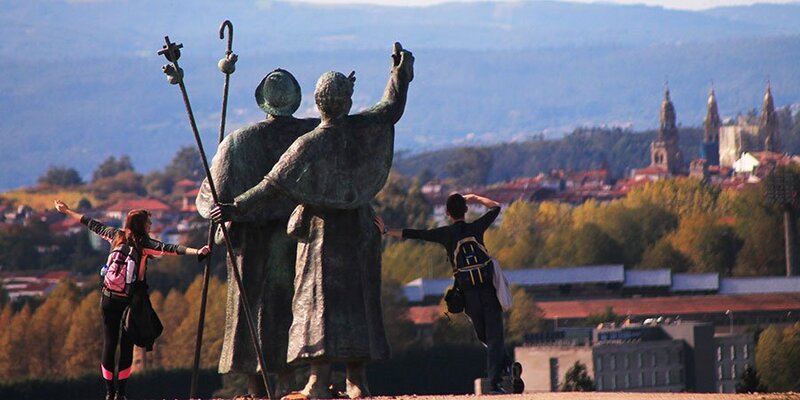 The Camino de Santiago has inspired many books and films in many languages, both documentaries and works of fiction. 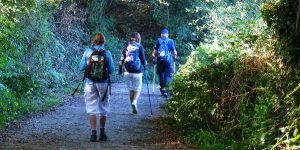 Talented writers and film makers have reflected on their personal journeys and created fantastic stories for their fictional and yet very real characters, encouraging many to grab their walking boots and experience the Camino magic for themselves. 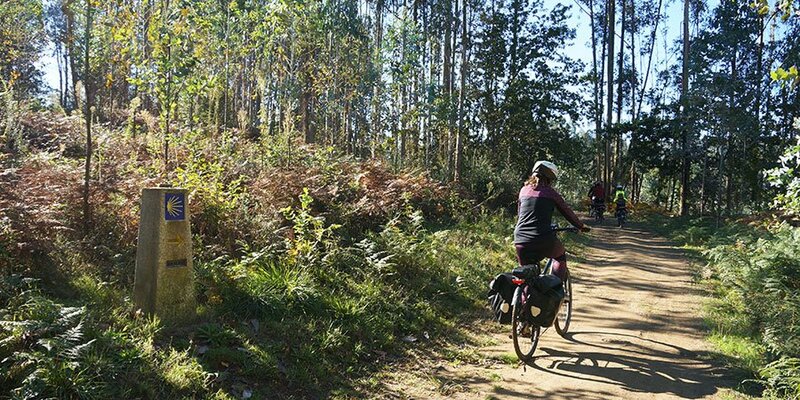 The Camino Voyage is not an ordinary Camino, in fact there is very little walking involved. A group of Irish friends (poet, artist, musicians) decided to travel to Santiago in their tiny traditional boat (known as Naomhog or Kerry Curragh). 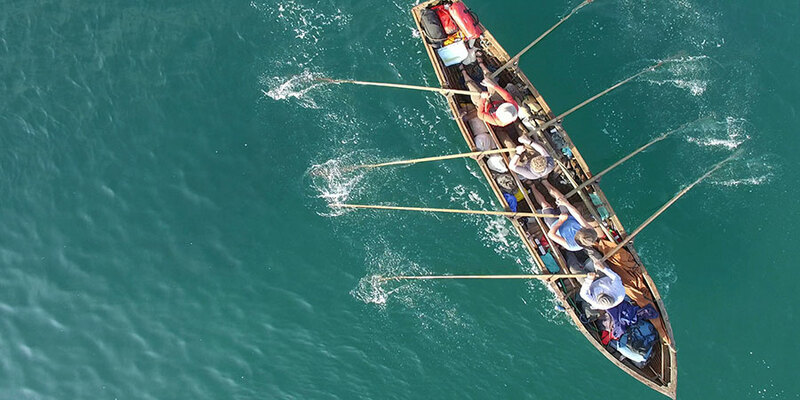 This extraordinary adventure takes place over the space of three years and the film documents the three stages of the trip, as the friends row for 6 weeks each year to cover the 2,500kms that separate Dublin and A Coruña, where Irish pilgrims would have sailed to in medieval times. 2,500 kms of rowing takes the group from Dublin to the West Coast of France, the Basque Country and finally Galicia. Can you get to Santiago without leaving your own backyard? Yes, you can. Faced with stage 4 cancer, Phil refuses to give up his dream of walking the Camino and he builds his own path in a forest behind his home in Seatle. Phil’s Camino is a touching short documentary about determination, dreams and, of course, the power of the Camino. Documentay Looking for Infinity: El Camino takes a more intimate and conceptual approach to this journey taken by pilgrims for hundreds of years; trying to answer some very important questions about life itself. 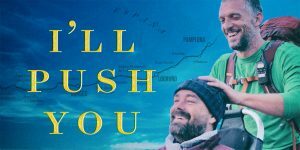 I’m off then (Ich bin dann mal weg in German) is a comedy based on the bestselling book of the same name by German comedian Hape Kerkeling: Losing and finding myself on the Camino de Santiago. The movie and book are based on the comedian’s own journey to Santiago, where he heads for a sabbatical trying to solve an existential crisis. The book has sold over 5 million copies and has been translated into 11 languages. This one will strike a chord with musicians. Strangers of the Earth follows American cellist Dane as he heads to the Camino de Santiago not just to walk the trail but also to play and record in 36 churches along the famous Camino Frances route. Would you like to recommend more Camino movies to the team? Let us know! I really enjoyed The Way – the film has inspired me to being my own journey.